Pepper and onion relish is one of our most popular and iconic items. 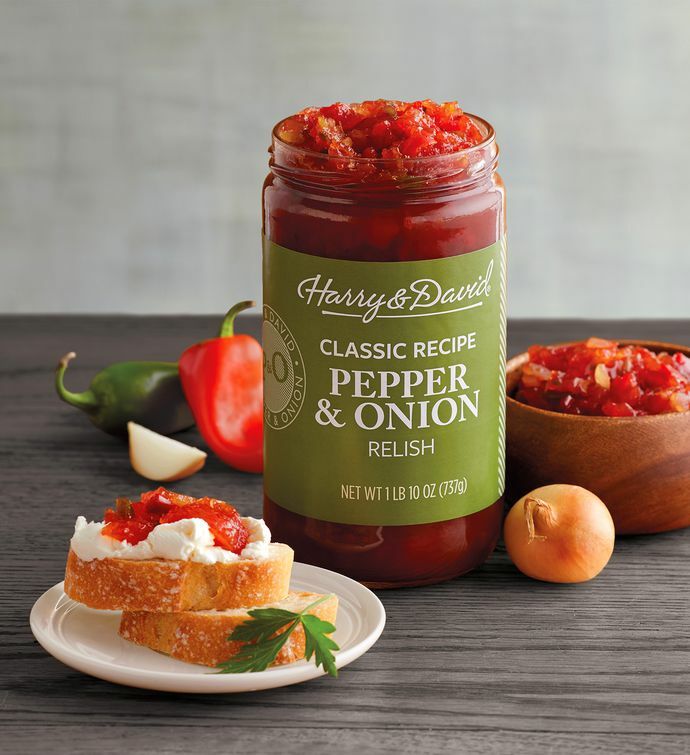 Mixing rich, savory flavor with a touch of sweetness, this relish features a blend of tomatoes, onions, bell peppers, and vinegar, with jalapeños for hint of spice. Enjoyable on its own, this sweet pepper relish can also be mixed with cream cheese to create a delicious dip that complements any dish or spread of specialty food.